That ARCA race was also pretty special. I had always wanted to see a "Cup" race on that track, and this was the closest thing to it. They tore a lot of those up that day as well. But it was a great show. 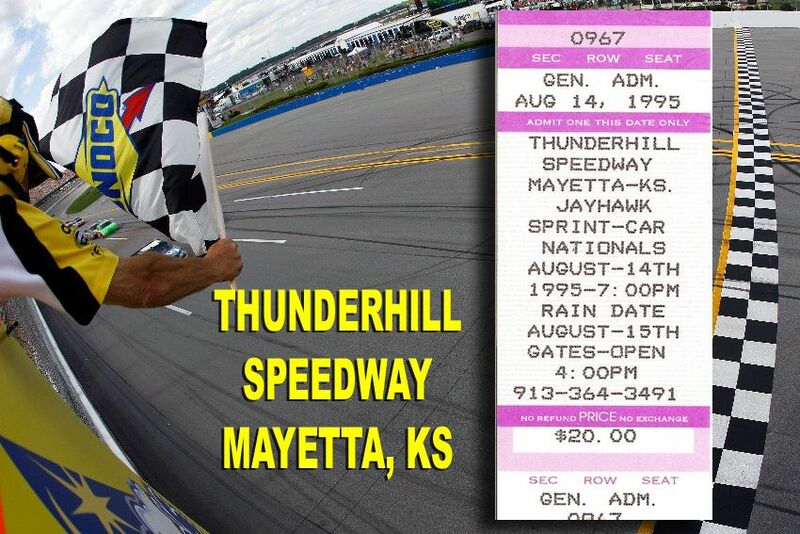 You'll never see anything like it on the big speedway in Kansas City, Kan., I'll promise you that. 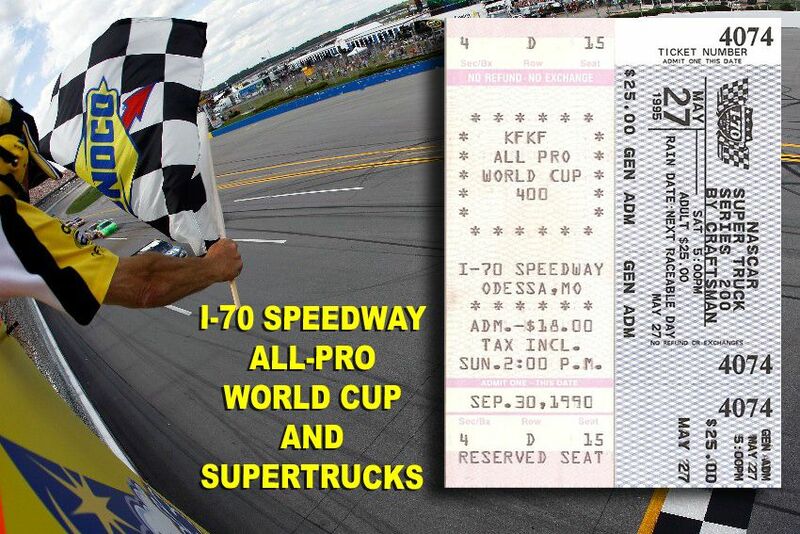 I-70 Speedway World Cup (1990) and Supertruck Race (1995). These were both big races, and both races that I would get to be involved with later in life. The World Cup was always the premiere season-ending event. 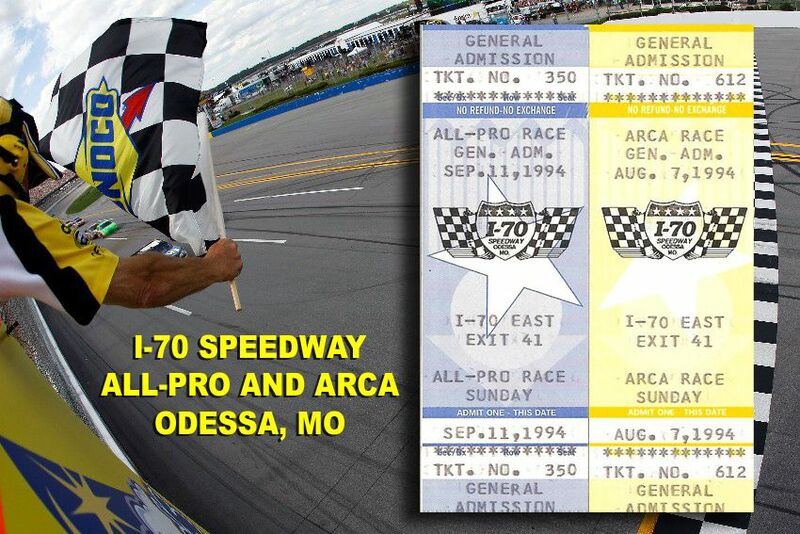 A number of sanctioning bodies and different kinds of cars would try and tame this event, but my favorites were when the All-Pro Series would come out and race with the local Late Model guys. I get tingly just thinking about it. As far as I'm concerned, that was racing utopia. They were perfect, spectacular, awesome events. If you never got to experience them, I feel bad for you, because when those shows were in their prime, they were intoxicating. 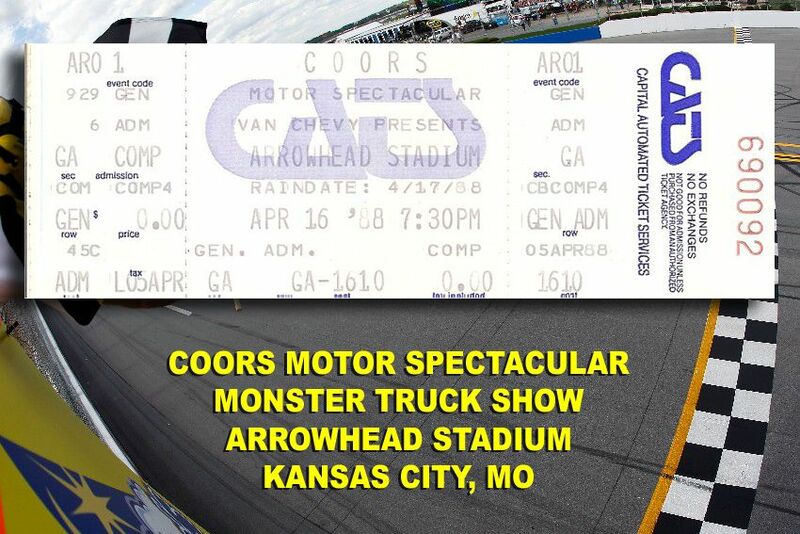 The NASCAR Supertruck Series, as it was called back then, got its start racing on short tracks like I-70. They were great races, and a whole lot of fun to watch. I got to give the trophy to Tony Raines when he got Dodge its first major NASCAR win in more than 20 years at I-70. He then came back the next year and won it in a Ford. 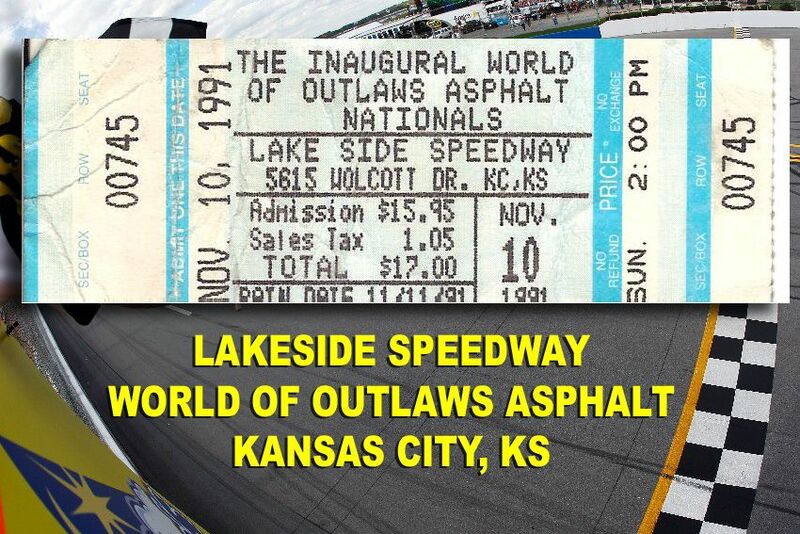 Lakeside Speedway World of Outlaws on Asphalt. 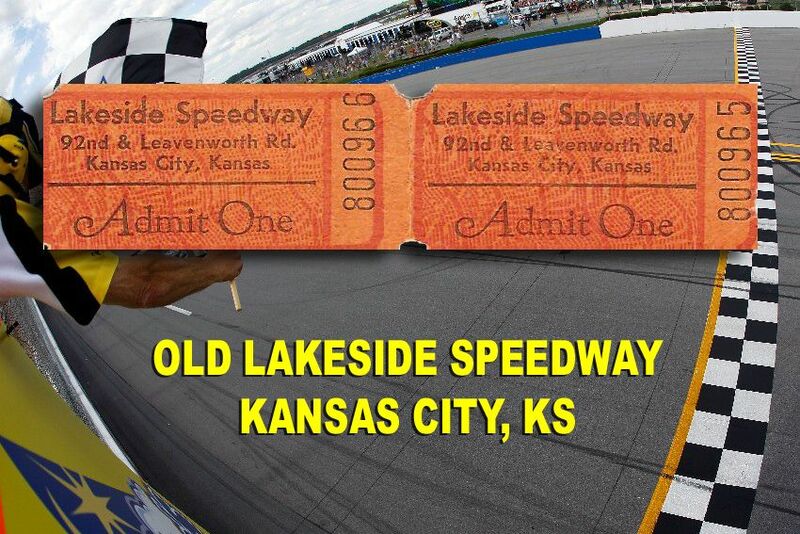 The "new" Lakeside Speedway on Wolcott Drive in KCK opened in 1988 after decades as a dirt track on Leavenworth Road. The World of Outlaws made a rare stop on the asphalt surface in 1991. The next year, WoO superstar Doug Wolfgang crashed his winged wonder at Lakeside and was seriously burned. Wolfgang later filed a controversial lawsuit against the track and the World of Outlaws. Those events led to nationwide fire safety improvements at racetracks that are still in place today. By the way, it was really cold out there on November 10. I even remember snow flurries. Old Lakeside Speedway. What can you say about the old Lakeside? It was legendary. All the greats ran there at one time or another. 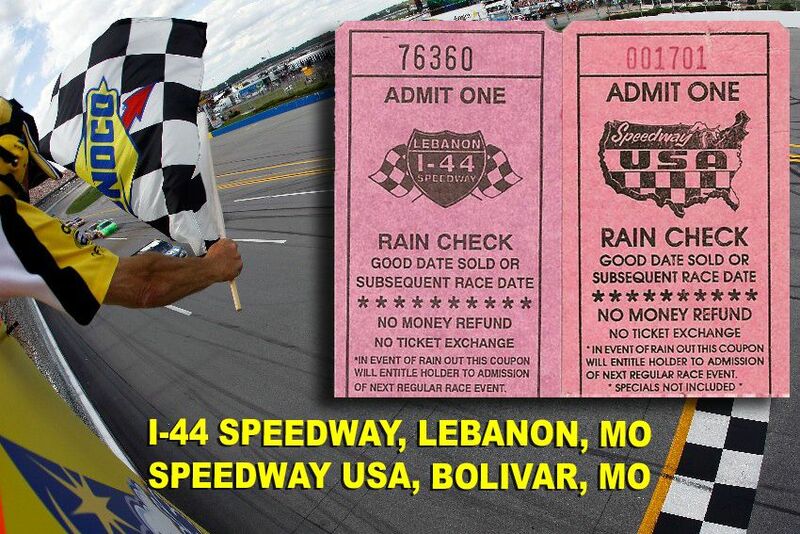 If you wanted to see the regional dirt track hot shots, this was the place to go. They had the best dirt Late Models. They had the best dirt Modifieds. Heck, they had the best dirt street stocks. Lakeside was the most significant dirt track in the Midwestern United States. And ever since the new Lakeside was converted from asphalt to dirt, they are still doing a good job of holding that title today. Colorado National Speedway. This is a 3/8-mile asphalt track in Erie, Colo., outside of Denver. They have great Late Models and Modifieds and all that, but I really want to talk about the Trains. This is the craziest thing I've ever seen on a racetrack. Three cars are chained together. The front one has the driver, who controls the throttle. The middle car is empty. The last car has a guy who works the brakes. And they run about 20 of these rigs through a figure eight. It's amazing how fast they actually go through there, and it will absolutely take your breath away. And when they crash--oh brother, what a mess. Arrowhead Stadium Monster Truck Show. These were way better than the Monster Jam pre-packaged stuff they do now. Arrowhead had enough room that they could really get up some speed. The trucks weren't as sophisticated, but they sure smashed up the cars more. And the sideshows consisted of real, professional truck and tractor pulls. I loved watching those four-wheel-drive truck pullers. One cool memory I have of this is that my dad got some tickets to the show through Chevrolet. We got there early, and Army Armstrong, who was a well-known announcer and personality, met up with us and took us around inside Arrowhead to see all the places fans normally couldn't go. Good stuff. 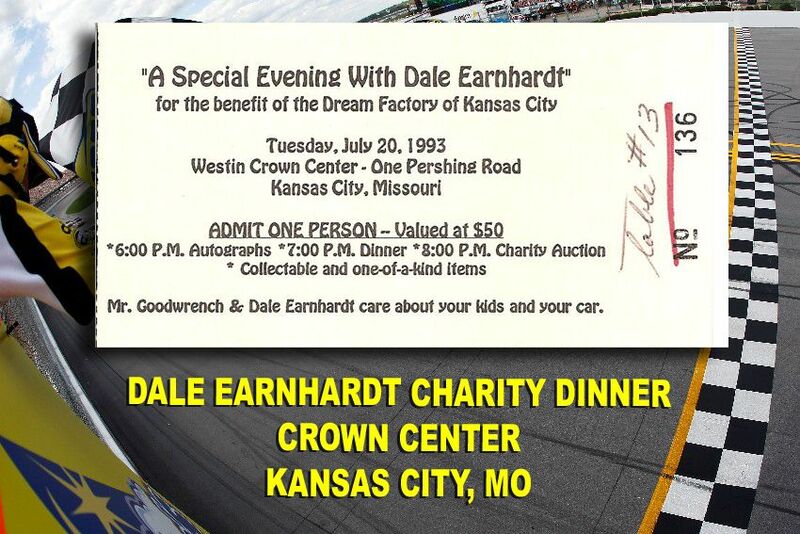 Dale Earnhardt Charity Dinner. A few companies bought seats for this charity dinner with The Man. Chevrolet bought a table, so I got to go with my dad. I even had to wear a suit! We had the opportunity to chit-chat with Earnhardt a little bit, as well as ASA Goodwrench driver Mike Eddy. They signed autographs, then auctioned off racing suits and memorabilia for the Dream Factory. That black #3 Chevy looked awesome sitting in the Crown Center conference room hall. The whole thing was totally cool. Heartland Park Topeka Road Course. 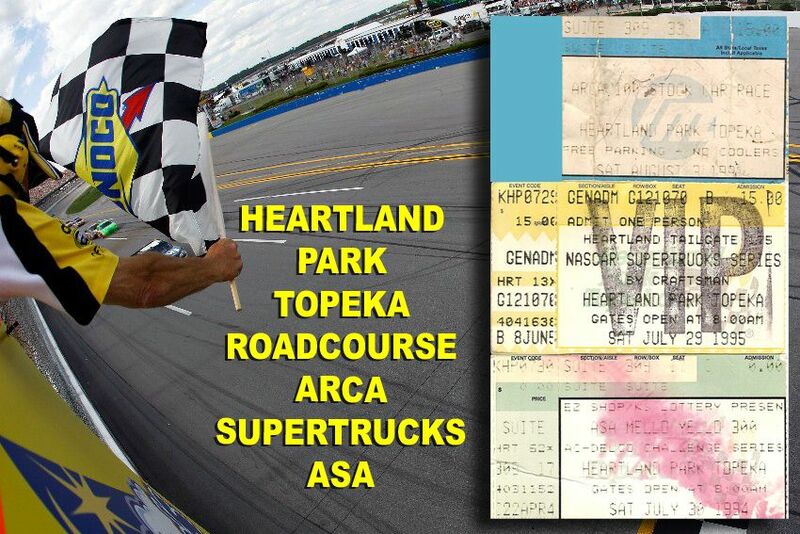 Heartland Park is known for their drag strip, of course, but they have a world-class road course on the property, too. They used to run ASA, NASCAR Supertruck, and even an ARCA event there. The ARCA show was especially interesting. Dale Earnhardt, Ken Schrader, Darrell Waltrip, and Rick Hendrick himself drove in that race. Earnhardt was coming up through the field fast in his black #3 Chevy, but crashed out. Hendrick was actually driving the "Cole Trickle" City Chevrolet car from Days of Thunder. I was standing there looking in the hauler, and he came out and tried to sign my program. I wasn't even looking for an autograph. He was a little irritated that I didn't have a pen. He went back in and got one, then signed the cover. This was also the race at which a young Dale, Jr. signed the imaginary driving contract with Hendrick on a napkin that became well-publicized when he actually did go to race there. Heartland Park Drag Strip. 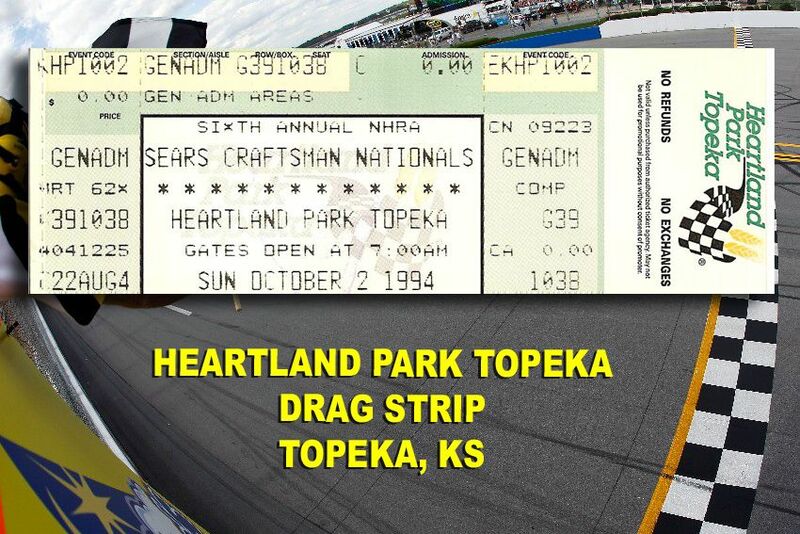 I actually worked for Heartland Park during this time period. I learned that people loved John Force, but not nearly as much as Eddie Hill. I learned that calling people to renew their tickets isn't fun, but most of them don't mind because they like the races. And I learned that if something goes really wrong, I don't want to be stuck with Stormont-Vail hospital, although they did an OK job putting in some gnarly, crooked stitches when I cracked my head on the ticket booth mailbox. All-in-all, I had a good time at Heartland Park, and I got to see how a professional racetrack was actually run. Plus, I got to touch some real Wallys. 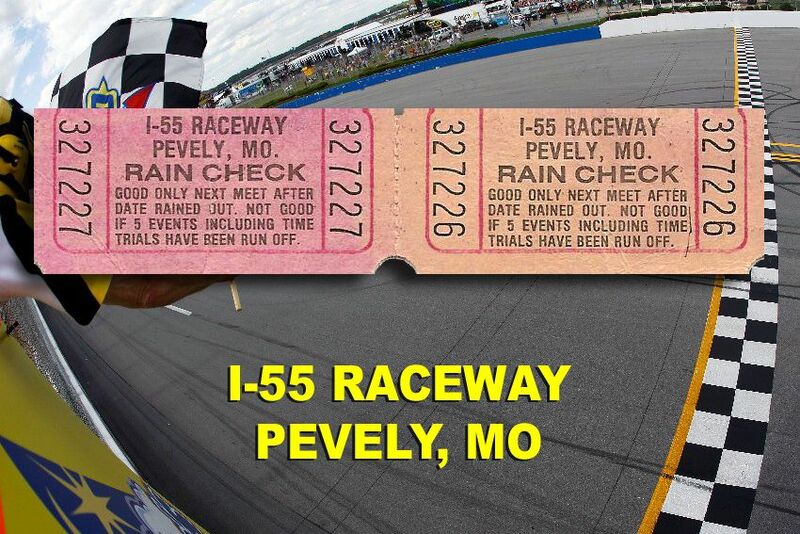 I-55 Raceway. This is a little dirt track near the St. Louis area. It didn't really leave a big impression on me at the time. But later, that track was purchased by NASCAR star and short track aficionado Ken Schrader, and transformed into a real show place. Now they have real sponsors, nice facilities, even a real website. It is a big change from when that little ticket stub was valid. Linn County Speedway. 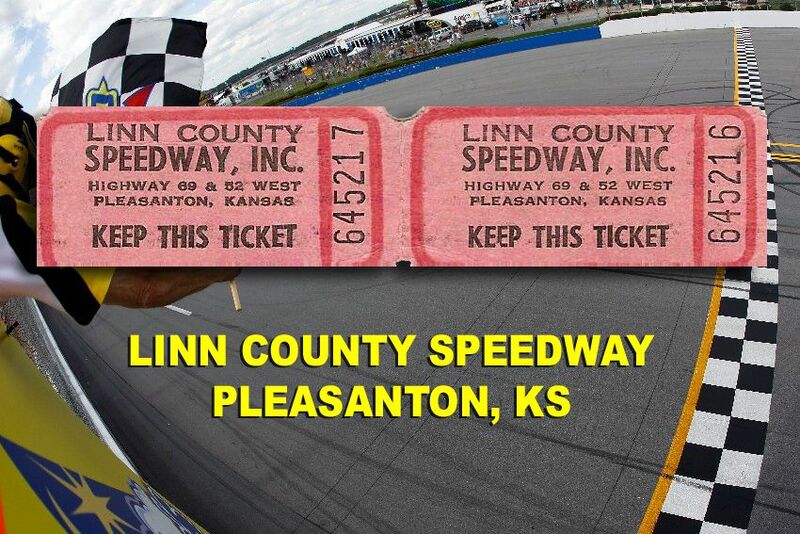 Over the past few years, Linn County had worked hard to become a decent dirt track. But I'm not sure that was always the case. I've seen some bad restroom facilities at tracks, but Linn County had the worst. For one, you were supposed to pee in a rain gutter like the kind that goes on the roof of your house. No one could hit that narrow target anyway. But to make matters worse, they had it tilted so everything would flow downhill, but the high side was way too high, and the low side was too low. I also remember one night when they didn't have a wrecker, and they spend like an hour rebuilding the front suspension on a Late Model after the tire rod broke, because they couldn't get it drug off without it digging into the ground. They also seemed to grade that track way too often. You spent more time watching the grader than you did watching races. Knoxville Nationals. I like to watch Sprint Cars race, but I'm honestly not a fan of all the stuff involved in putting the race on. Having to push-start everyone is a test of my patience, and I don't really like watching them flip all over the place. But somehow, when we went to the Mecca of Sprint Car territory, it all made sense. Even the dozens of push trucks were entertaining. And boy, can those guys drive. 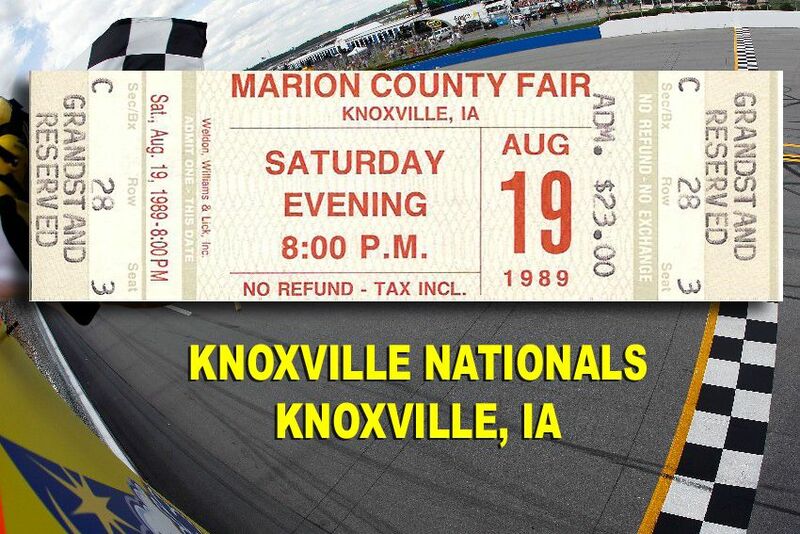 You might not think the Superbowl of anything would be in a little town in Iowa, but if you ever get to go to Knoxville, you'll see one of the very best racing shows in the world. And that's no exaggeration. Riverside Stadium. 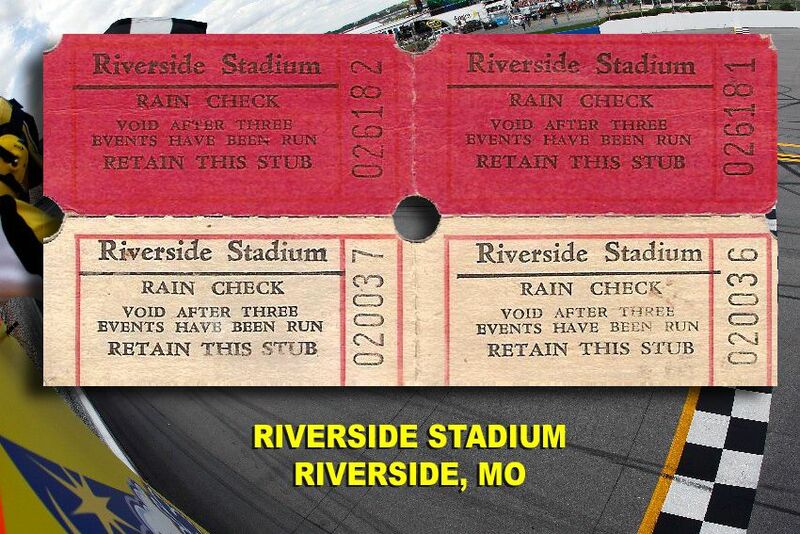 Other than I-70, Riverside was my favorite track ever. And actually, when I-70 was covered in dirt, I liked Riverside better. It was such a dump. But that's a compliment. It just felt like you were transported back 40-years. They had a figure eight, rickety grandstands, and a folksy announcer. The track was located next to the Riverside Red X, but it's long gone now. All that's left are the memories of the wild nights and wild action at a place that had more character than anyplace I've ever been. Lebanon and I-44 are the "Ozark Action Tracks." They're really beautifully manicured asphalt half-miles that usually get a good car count from the locals. We actually were heading down to I-44 every week after Lakeside flooded in 1993. These tracks were also the home of Larry Phillips, the greatest short track driver ever. Jamie McMurray also came from this neck of the woods. 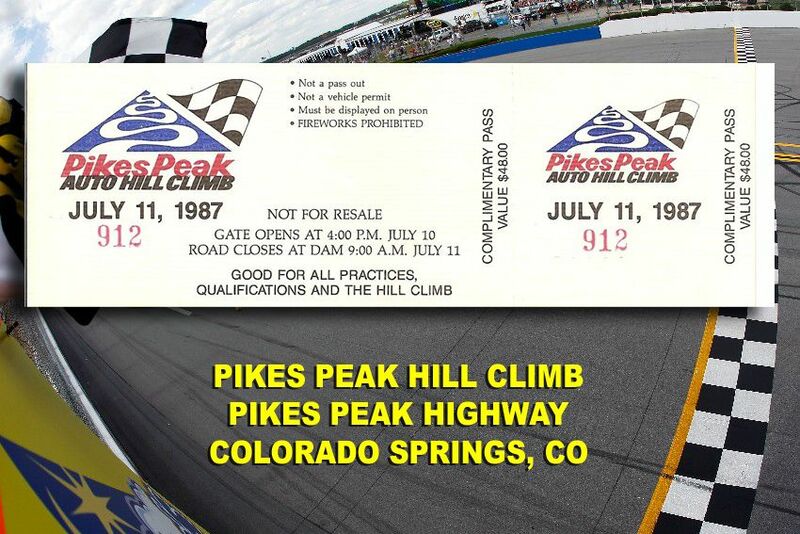 The Pikes Peak Hill Climb. Admittedly, this one is a little unusual in this list. 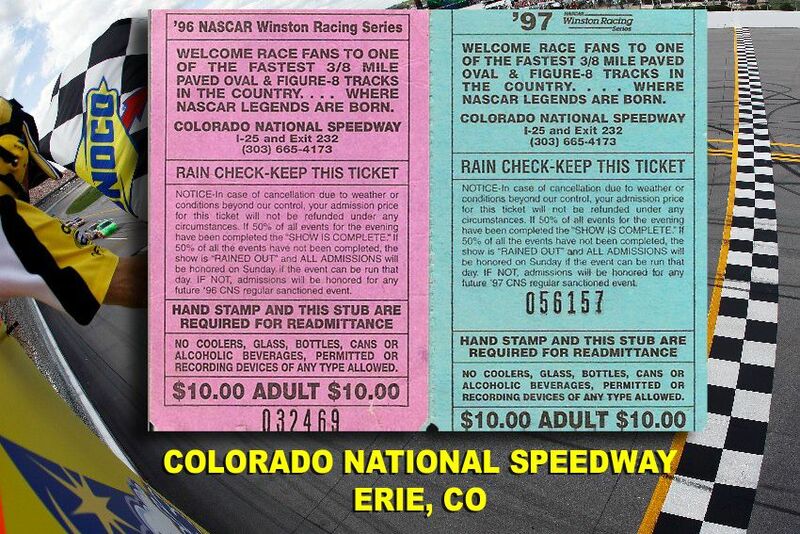 My folks are from Colorado, and dad got me hooked on the nation's second-oldest race at an early age. Cars are timed to see who can race to the top of the Pikes Peak Highway the fastest. This race is fast, dangerous, and beautiful. The sound of a stock car running full-bore, cutting through the serenity of nature, is enough to make any car nut's hair stand on end. You're instantly transformed from completely relaxed, to completely tense in the blink of an eye. The Pikes Peak Hill Climb floods all your senses, and it is something that everyone should see at least once, if not many, many times, in their lifetime. Thunderhill Speedway. All I remember about this particular night is that it rained. Real hard. I went to the ticket booth to see if they were going to give any refunds, and my dad went to the parking lot to pick me up in his green '95 Impala SS. Then the skies opened up, and I was trapped in the booth. The track literally filled with water like a cereal bowl. I've never seen so much rain at one time in my life. My socks are still soaked 15-years later. 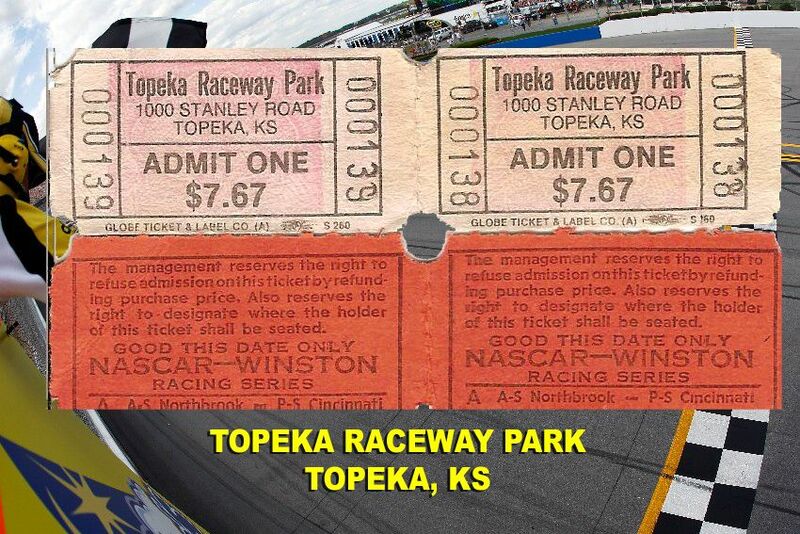 Topeka Raceway Park. I have to say, this wasn't my favorite place. It was ratty like Riverside, but not really in the same way. It was there for many years, and I'm sure lots of people have great memories of this place, but I just didn't like it the few times we went there. It just seemed like slow, sloppy racing on an extremely run-down track. Plus, the pits were behind the backstretch wall, so you really could never see anything that was going on. Maybe I just missed this track's heyday. Nashville Fairgrounds Speedway. 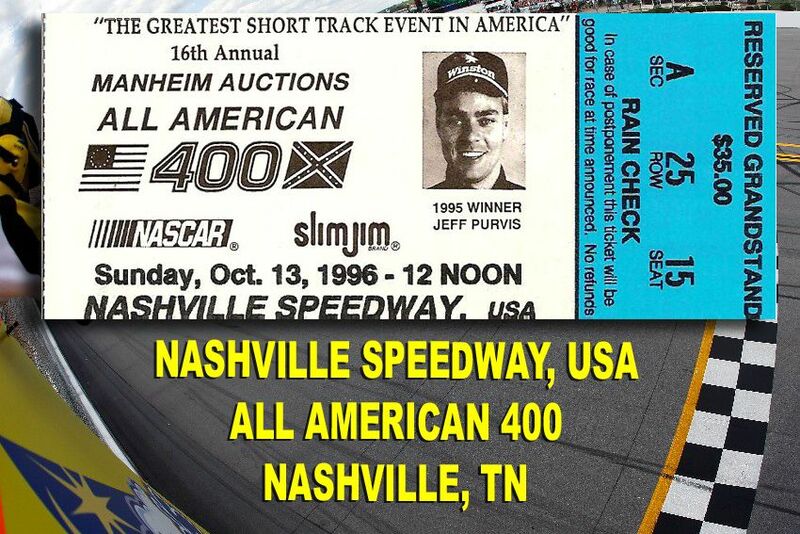 We used to go to Nashville for the All American 400 after the World Cup ended the asphalt racing season in Kansas City. This track has a lot of history, including formerly hosting the Winston Cup Series. The number of Late Models this track would draw was incredible. The track was fast. The show was well-run. The worst part about it was that blasted metal canopy over the grandstands that amplified the car noise to the point that your ears would bleed. Of course, it did keep the sun off. Kansas Speedway. Since I was working for Lakeside and I-70 at the time, I actually got to go to the groundbreaking ceremony for Kansas Speedway. All kinds of NASCAR drivers and racing big deals were there. From then on, everyone wanted to know what we thought the big track was going to do to our business at the short track. We were in the paper, on the radio, and on TV. I was the guest speaker at a Rotary Club dinner about it. We really got a lot of attention because of it. 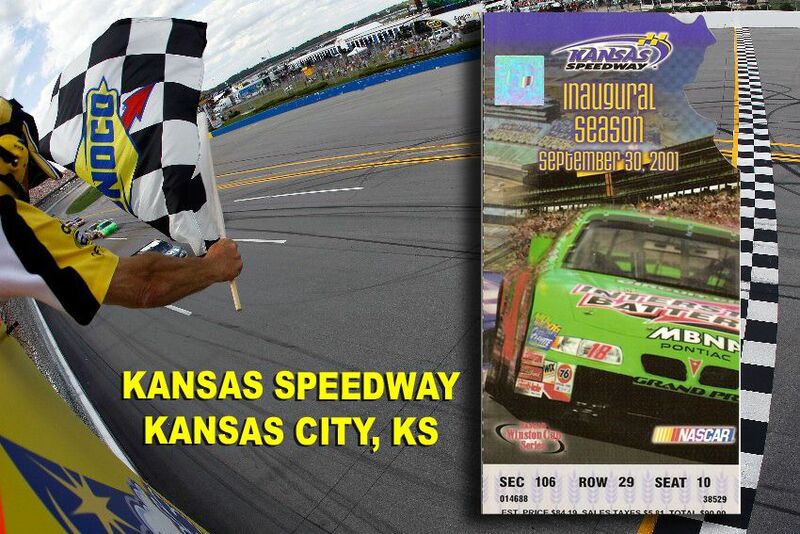 Racing was the hot topic when Kansas Speedway opened, and it was a good time for us. I thought the early races were pretty boring there, frankly. But over the years, things have gotten better, and I'm starting to enjoy the shows they put on there now. That track is a cool thing to have in our own backyard. Craig this is great stuff. I also keep everything. Not only do I have a shoebox with every timeslip (stapled to the tech card) of every pass down the strip, but I have another couple of shoeboxes filled with every ticket stub of every concert and sporting event I've ever been to dating back to when I was 7. Haha, glad to see I'm not the only one!